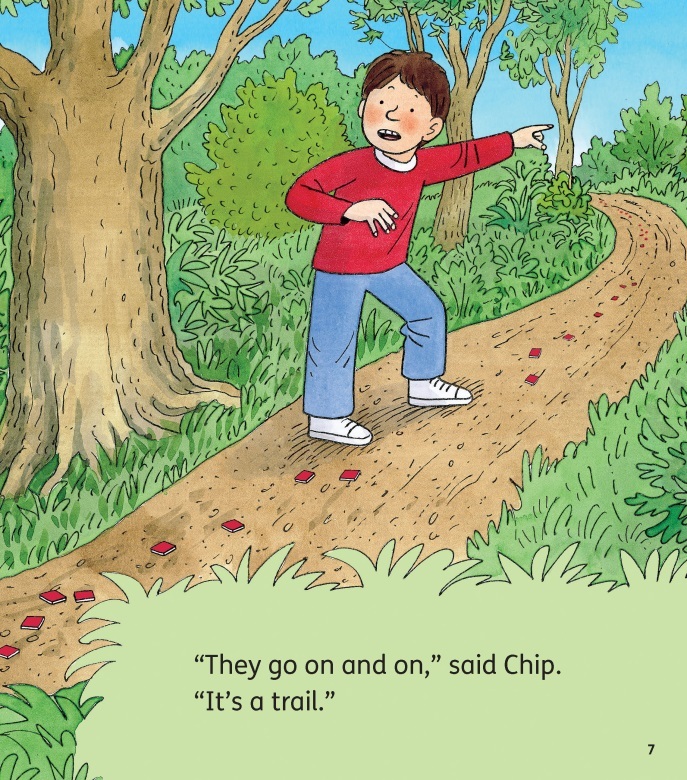 Explore with Biff, Chip and Kipper encourages children to read widely across fiction and non-fiction with 60 engaging, topic-linked pairs of books that open the door to cross-curricular comprehension. And what is the first thing young children notice when they open a new book? No Oxford Reading Tree book would be complete without the illustrations! 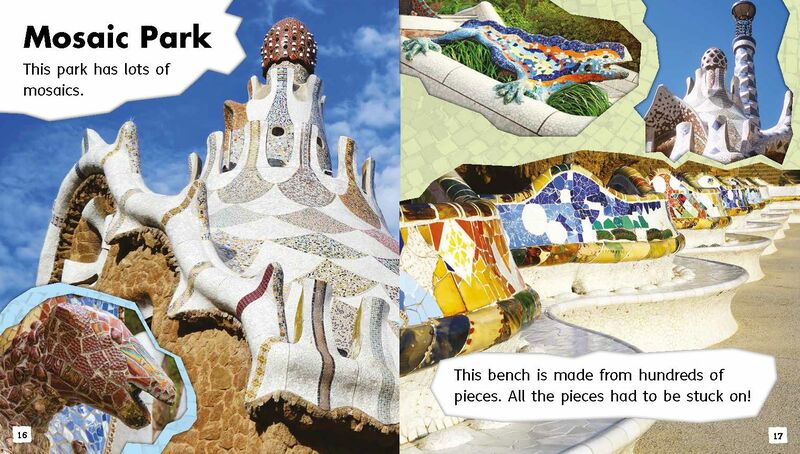 Each piece of artwork in the fiction book is carefully-tailored to support its non-fiction counterpart, allowing children to consider the impact of the topics covered on their own lives using emotive imagery. In the Level 3 pairing Rain! and Is That Rain? 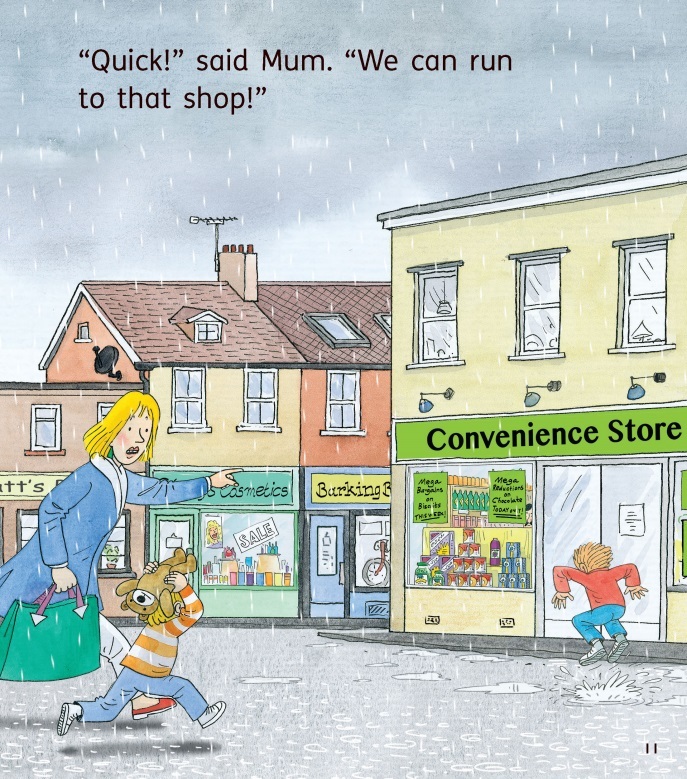 Biff, Chip and Mum get soaked in a heavy rain shower and have to shelter in a convenience store because they haven’t got the right clothes, but readers are then invited to consider the positive impact of rain on our world in the non-fiction text. 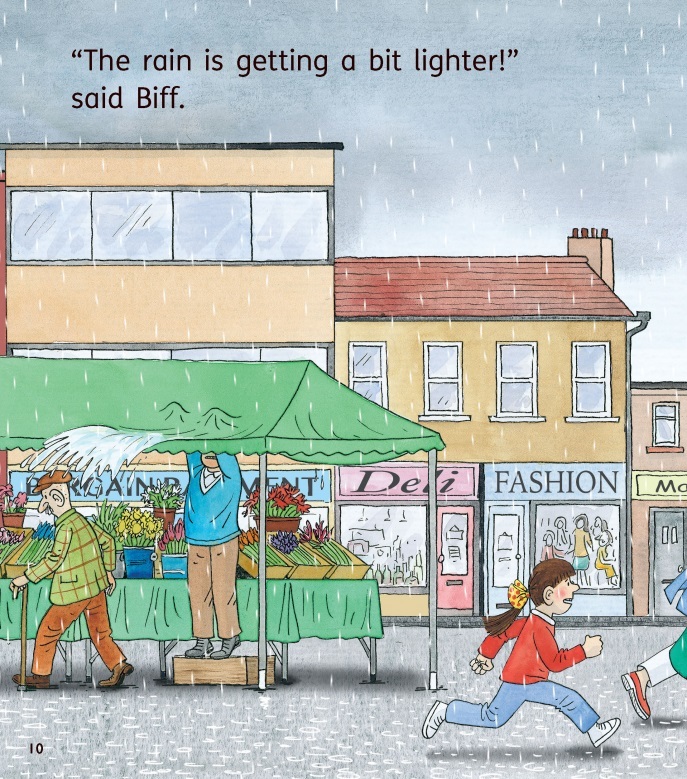 In this illustration from Rain!, we see everybody getting soaked, which could lead to a discussion in class about how we can prepare ourselves properly for the weather. While, in this illustration from Is that Rain? 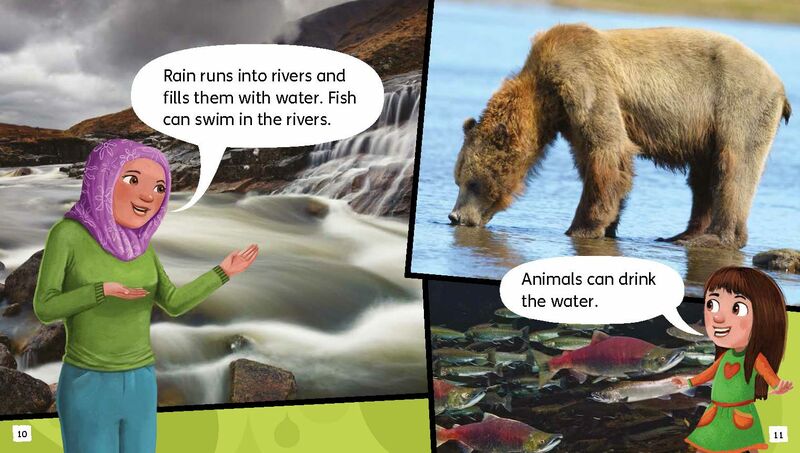 pupils can see beautiful photos that show why we need rain, and find out about why animals and fish need water to survive- effectively linking environmental education with a fun story about getting caught in the rain. In The Mosaic Trail, Biff, Chip and Kipper are transported back in time by the magic key to the Roman era where they foil a robbery and learn what a mosaic is, and in Mosaic Art they learn more about how mosaics are made and see some of the ways mosaics have been integrated into art and history. 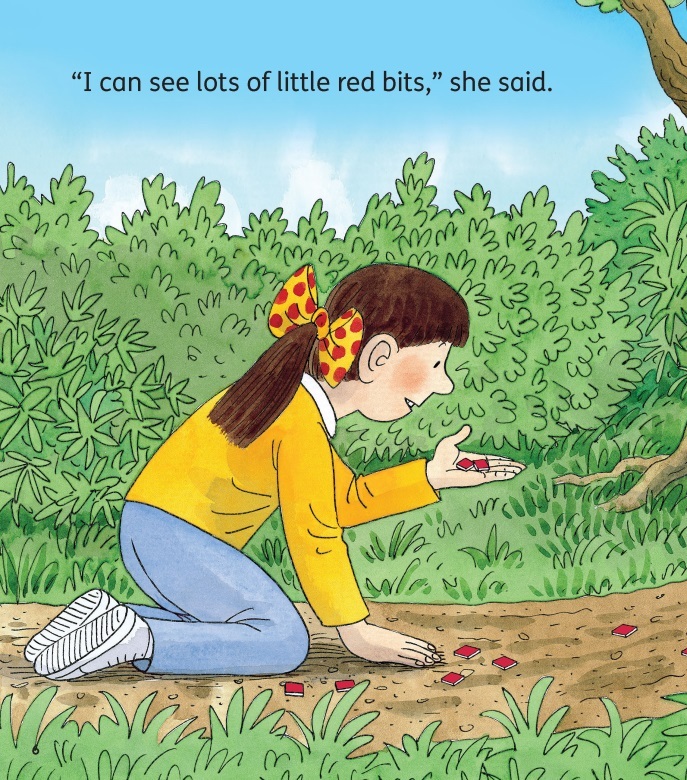 In the below illustration from The Mosaic Trail, Biff and Chip find a trail of tiny pieces of mosaic and have to follow it to find out more – much like the readers, who are just beginning to understand mosaics! While this image from Mosaic Art shows many complete, intricate mosaic artworks – clarifying children’s understanding and opening the door to discussions of both art and history. In Survival in the Arctic, Biff and Chip are transported by the key to the extreme environment of the Canadian Arctic where they help someone and then spend a night in the snow, while in What Do We Need to Survive? children can learn about the most extreme environments from the depths of the ocean, to outer space! 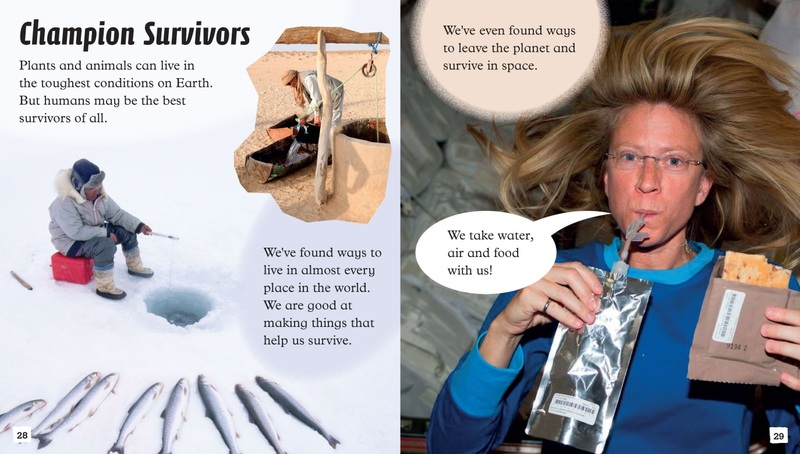 And in this extract from What Do We Need to Survive?, children are educated on the variety of environments that humans have learned to live in – from the heat of the desert, to the frozen poles and even in space! 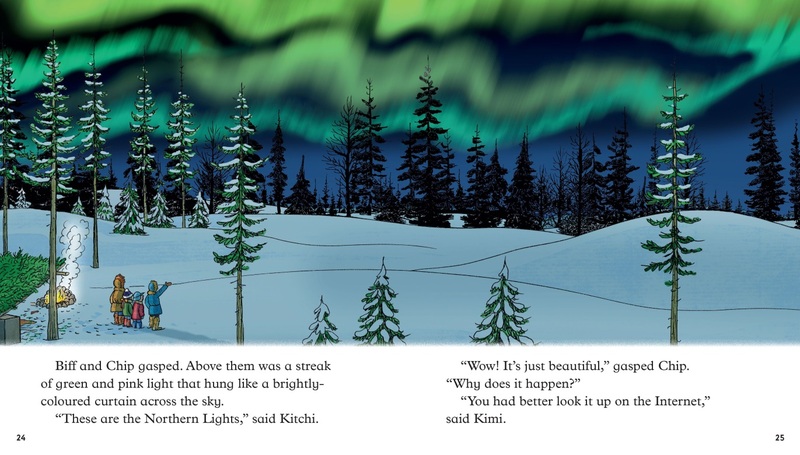 Joint creator of Biff, Chip and Kipper and Floppy and their friends, Alex Brychta brought each one to life with his fabulous illustrations which are loved in many schools today both in the UK and internationally. 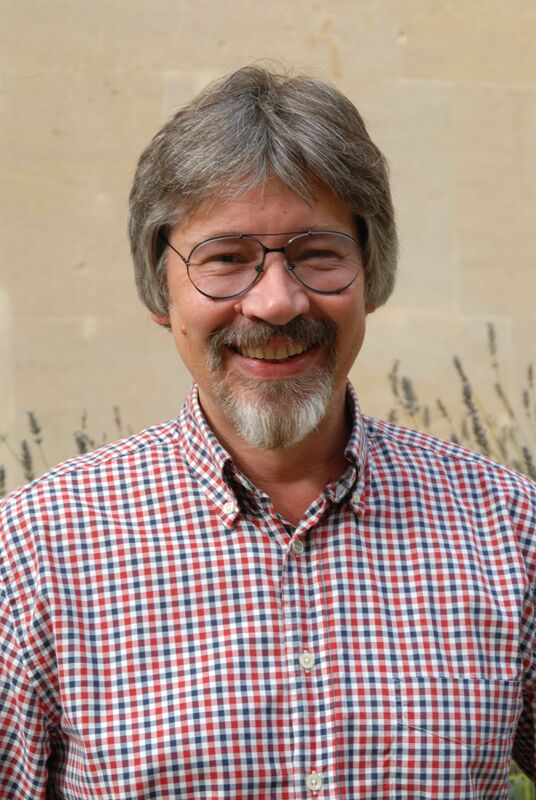 Alex was born in Prague, but has lived in the UK since 1968. In 2012, Alex received an MBE for services to children’s literature. The latest series from Oxford Reading Tree, Explore with Biff, Chip and Kipper, launched in January 2018. It comprises 60 carefully paired fiction and non-fiction texts featuring Biff, Chip and Kipper – inviting children to explore a range of curriculum linked topics with their favourite Oxford Reading Tree characters.